The soil in South Texas can be unfriendly to conventional lateral septic systems. Aerobic septic systems require electricity on-site and water on-site. 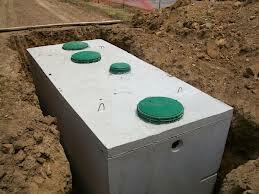 Aerobic Septic System Repair San Antonio is common in San Antonio and South Texas where the soil can be very rocky. If you’re aerobic septic system is generating an unusually pungent sewer smell you may have an issue with your aerator or water pump. Sometimes these issues can be plumbing related as well. If you are keeping up your chlorine tablet maintenance and the smells increasingly getting worse you should contact Big Bexar Septic. Only waste and toilet paper should be discharged into in aerobic septic system. Harsh chemicals being poured down kitchen drains into in aerobic septic system can cause problems. if you’re looking for the best aerobic septic system repair San Antonio has to offer, give Big Bexar Septic a call. 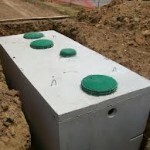 Big Bexar Septic has over 30 years of experience in both installing and repairing aerobic septic tanks. Plumbing and electrical issues should be inspected by a professional. Do not open your tank as dangerous bacteria and gas lie within. If you do not have a plumbing cleanout on your property, you may want to consider installing a cleanout for your septic tank. Doing so will lower your overall maintenance costs in the long term.